Welcome! USCIS Civics Flash Cards The 100 civics (history and goverment) questions and answers for the naturalization test are included in these flash cards. 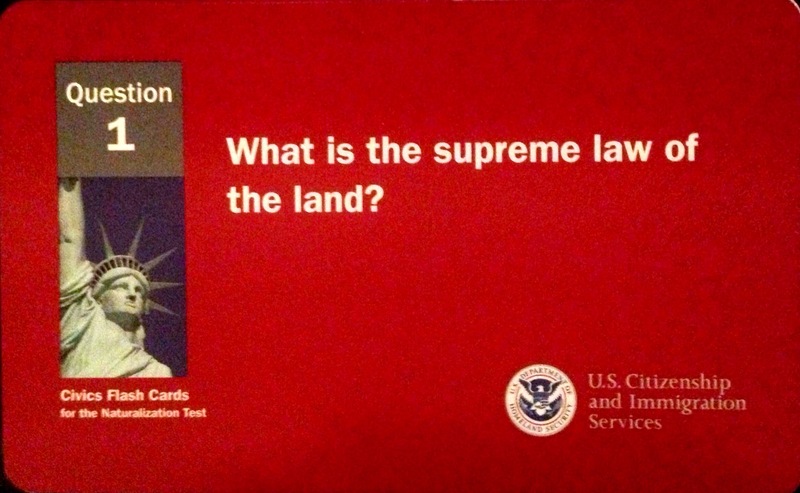 The civics test is an oral test and the USCIS Officer will ask the applicant up to 10 of the 100 civics questions. An applicant must answer 6 out of 10 questions correctly to pass the civics portion of the naturalization test. This is an easy way to learn more about history and goverment in the United States of America. U.S. Department of Homeland Security, U.S. 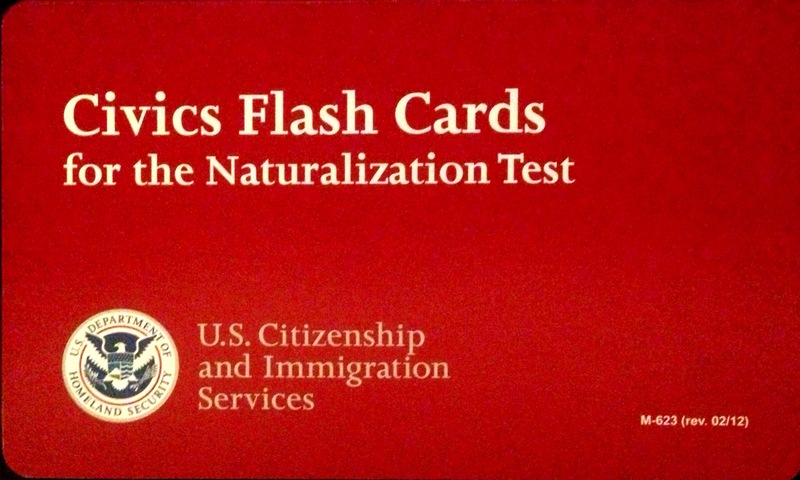 Citizenship and Immigration Services, Office of Citizenship, Civics Flash Cards for the Naturalization Test, Washington, D.C., 2012. The first question and answer is: 1 For more information, please visit http://amigoscenter.org/get-involved/civic-flash-cards/ We are blessed to have received Isabella Restrepo as a member of the Kingdom of God through the waters of Baptism on Sunday, July 20 at Amigos en Cristo ministry at Hope Lutheran Church, Bonita Springs, FL. Pray for this young soul as she begins her lifelong journey as a disciple of Jesus Christ. 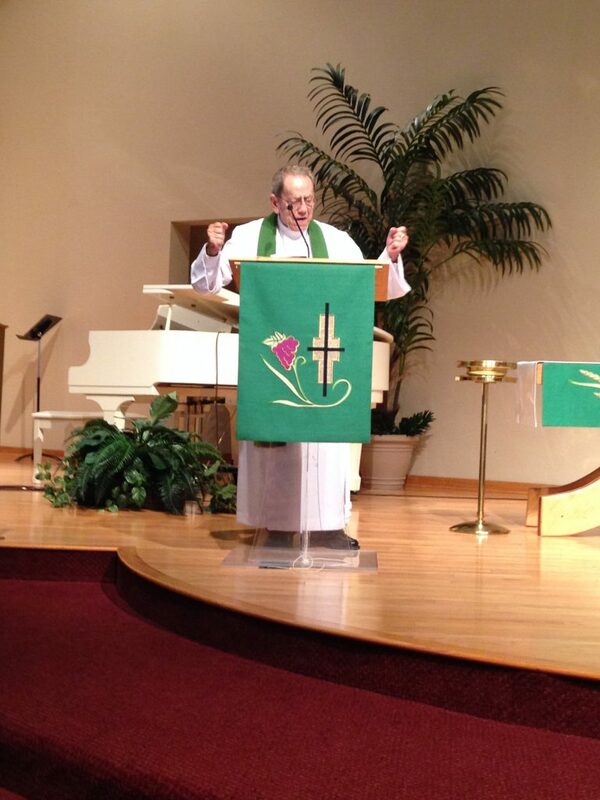 Pastor Andrew Vazquez of St. Peter Lutheran Church, Miami participated as our invited preacher. 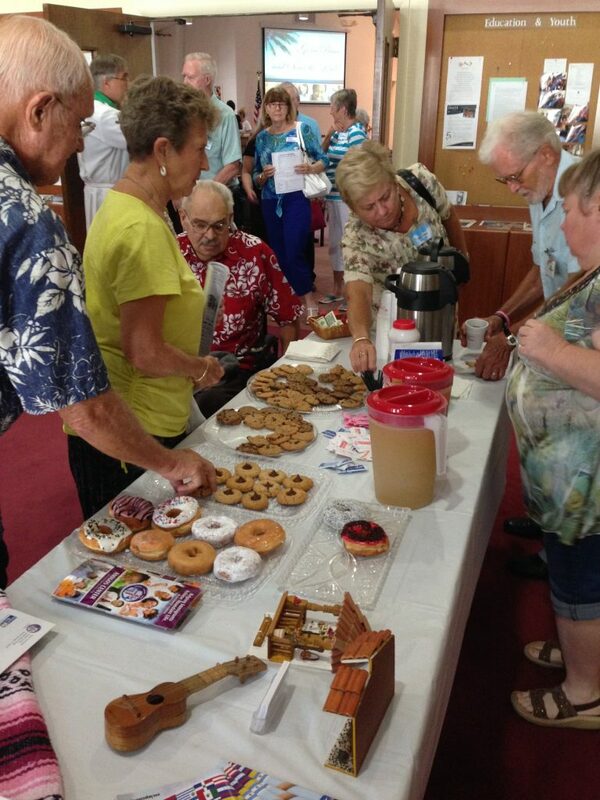 Just to say "Thank you", Amigos en Cristo sponsored the coffee hour after worship service at Trinity Lutheran Church, Cape Coral on July 20. Pastor Selle preached and led services. Pastor Selle's daughter, Laura and granddaughter, Chloe, were also present along with Amigos en Cristo representative Eileen Ortegon. 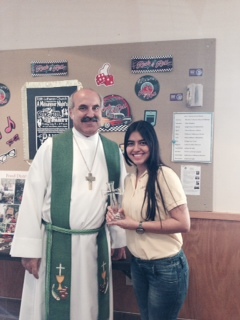 Amigos en Cristo is the "Mission of the Month" at Faith Lutheran Church, Naples. 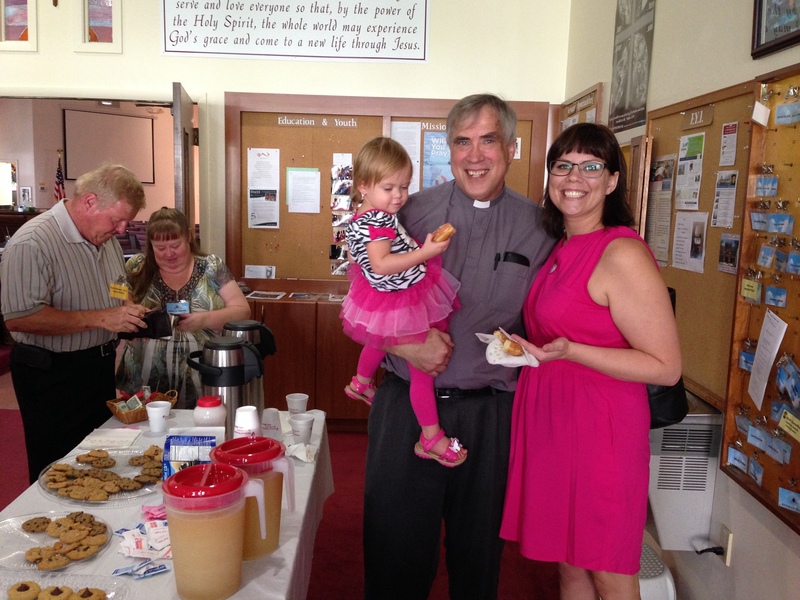 Amigos representative, Eileen Ortegon, visited Faith Lutheran on July 6 to say thank you to all of our supporters. Pastor Selle is the guest preacher for the last Sunday of July. Come and meet him. Our Hispanic ministry at Hope Lutheran Church, Bonita Springs has begun a music ministry designed to enhance the worship experience during our Sunday afternoon worship service. 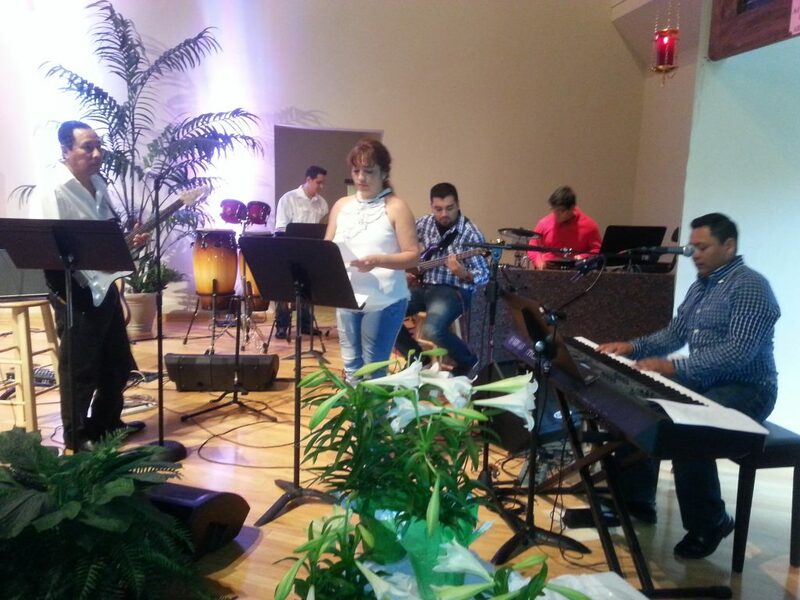 Church member and lead guitarist Reynaldo Bernal directs Roberto Velazquez (key board), Carlos Garciá (Drummer), Cesar García (Base guitar), Ebert Enriquez (Percussionist), and Orleisy Lima (lead singer). Orleisy and Ebert played professionally in Cuba before immigrating to the United States. In order to share the blessing, Orleisy will sing at Faith Lutheran Church on July 27. 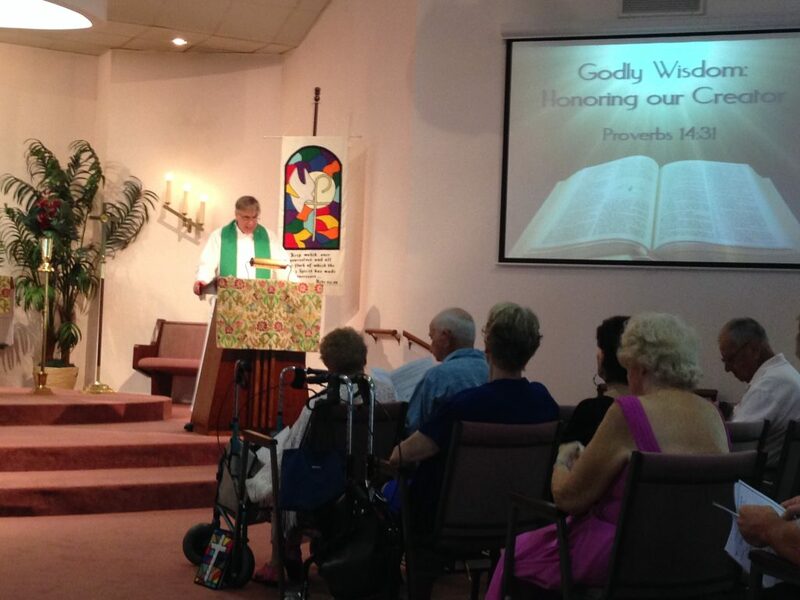 Everyone is welcome to participate in our 1:00 PM Spanish language each Sunday at Hope Lutheran, Bonita Springs. 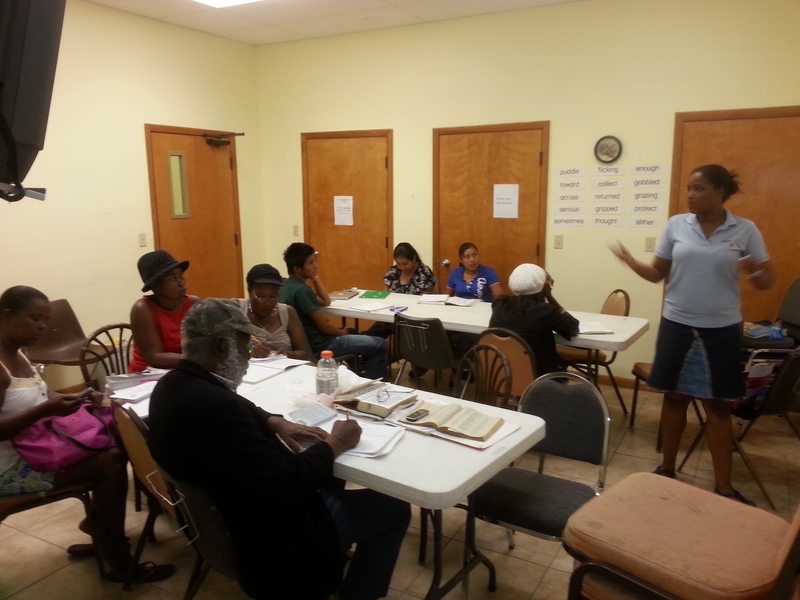 Our volunteer staff continues to amaze as they take on more responsibility so I can continue my studies with the SMP (Specific Ministry Program). The program is very challenging but the rewards are priceless as it is for the service to our Lord for the expansion of his Kingdom. 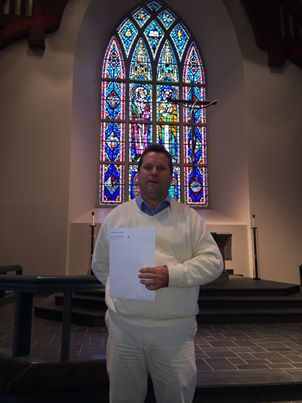 This is a four-year distance education program of Concordia Seminary, St. Louis, MO that prepares for ordination as a pastor in the Lutheran Church-Missouri Synod. As Paul prays for the Philippians I ask yours also. 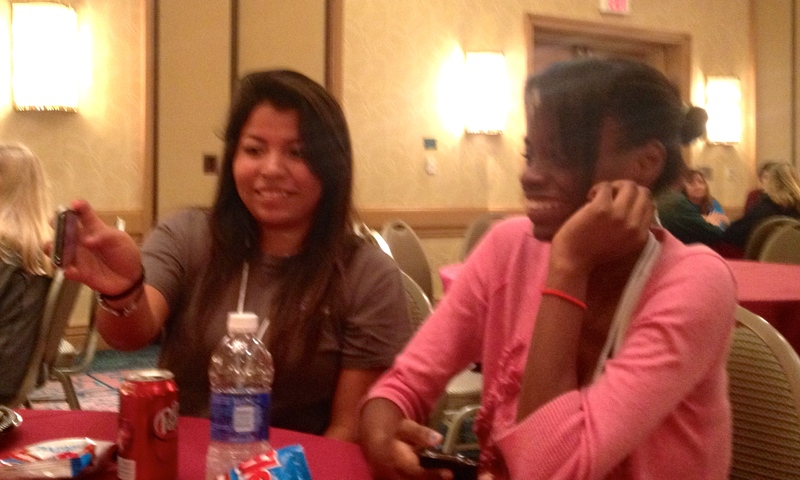 We took several youth to Daytona for the Florida-Georgia LCMS Youth Gathering. Bill Yonker again was the speaker and as usual God used him to bring the Narrative of Jesus to these young people. We are in the process of upgrading our audio visual equipment thanks to a grant from the LIPMAN Foundation we received to support our English language studies program in Immokalee, Florida. Lipman, North America’s largest open field tomato grower, has an extensive and growing history of giving back to the community. Amigos Center is thankful for their support. This last quarter has been an eventful one. Our English classes are in full swing Monday through Thursday from 9:30am-11:30am. We also will soon start training our volunteer staff with new computer literacy classes. It will help students develop basic computer skills such as how to set up an e-mail address, fill out an online job application, log on to the parent portal at their children’s school, etc. 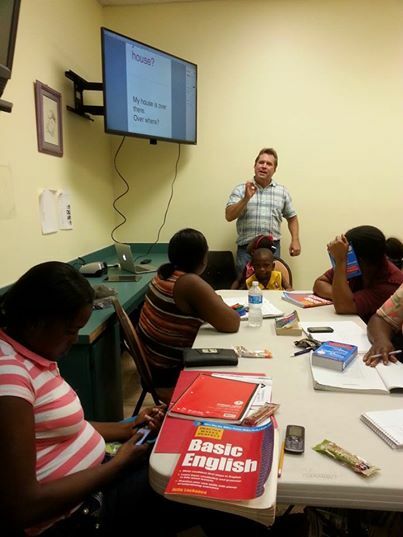 English language learners enjoy the new upgrade of a smart tv in Immokalee. Thank you to those who made it possible. 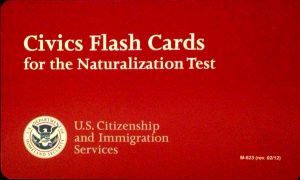 The 100 civics (history and goverment) questions and answers for the naturalization test are included in these flash cards. 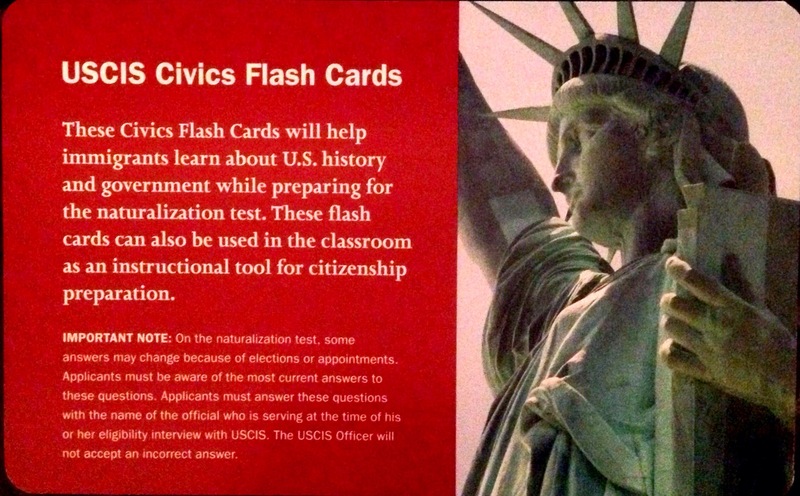 The civics test is an oral test and the USCIS Officer will ask the applicant up to 10 of the 100 civics questions. An applicant must answer 6 out of 10 questions correctly to pass the civics portion of the naturalization test. This is an easy way to learn more about history and goverment in the United States of America. U.S. Department of Homeland Security, U.S. Citizenship and Immigration Services, Office of Citizenship, Civics Flash Cards for the Naturalization Test, Washington, D.C., 2012. 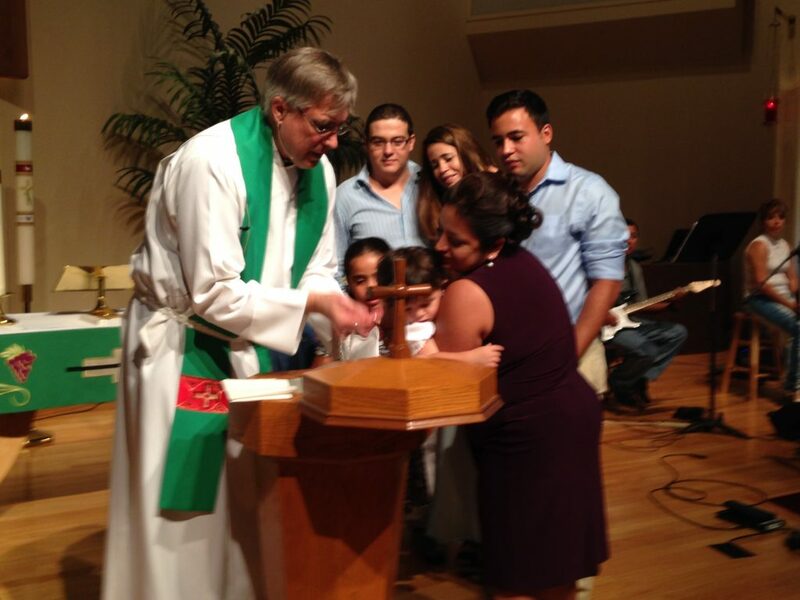 We are blessed to have received Isabella Restrepo as a member of the Kingdom of God through the waters of Baptism on Sunday, July 20 at Amigos en Cristo ministry at Hope Lutheran Church, Bonita Springs, FL. Pray for this young soul as she begins her lifelong journey as a disciple of Jesus Christ. 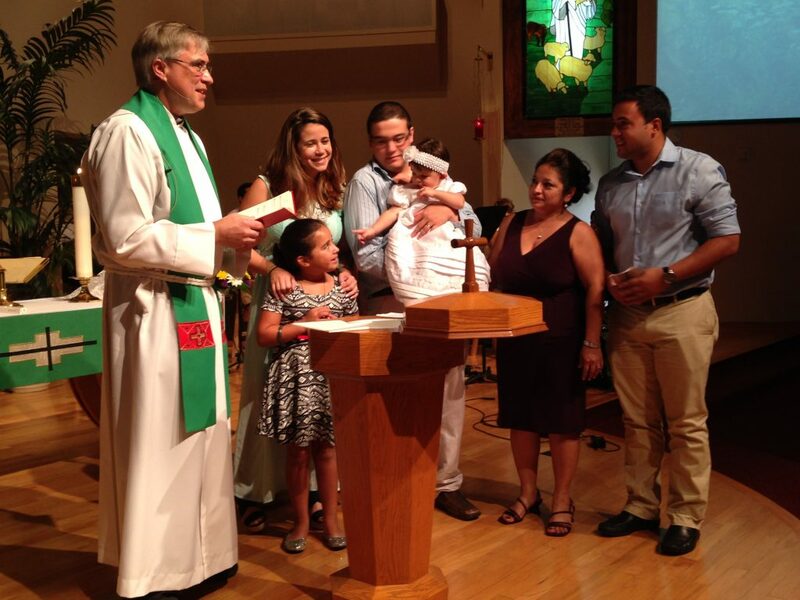 Pastor Andrew Vazquez of St. Peter Lutheran Church, Miami participated as our invited preacher. 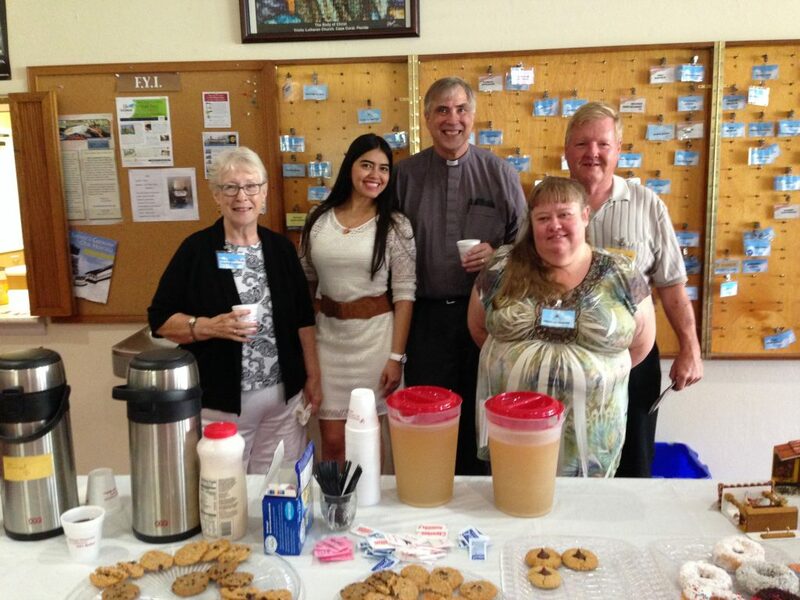 Just to say “Thank you”, Amigos en Cristo sponsored the coffee hour after worship service at Trinity Lutheran Church, Cape Coral on July 20. Pastor Selle preached and led services. Pastor Selle’s daughter, Laura and granddaughter, Chloe, were also present along with Amigos en Cristo representative Eileen Ortegon. 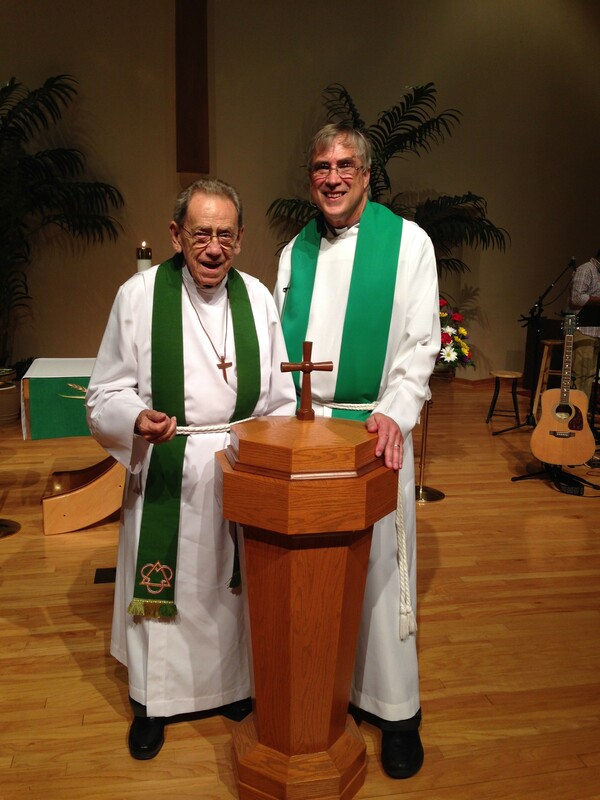 Amigos en Cristo is the “Mission of the Month” at Faith Lutheran Church, Naples. 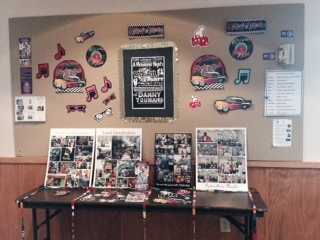 Amigos representative, Eileen Ortegon, visited Faith Lutheran on July 6 to say thank you to all of our supporters. Pastor Selle is the guest preacher for the last Sunday of July. Come and meet him.